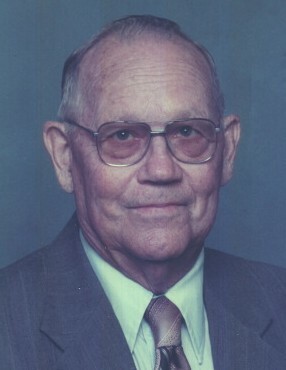 Obituary for James Edward McReynolds | Clark-Gashaw Mortuary, Inc.
James E. McReynolds, 88, of Concordia, KS (formerly of Osborne, KS) died on Sunday, January 13, at Cloud County Health Center, Concordia, KS. He was born in Osborne County, KS on February 12, 1930 to Alfred C. & Bessie (Porter) McReynolds. Jim was one of several children. James graduated from high school. He was an elevator manager for Midway Co-op in Osborne, KS for 30 years. On September 12, 1954, James married Merna D. Kaser at the Osborne Christian Church. They lived on a farm in the Covert area until they moved to Osborne in 1961. In August of 2013, they moved to Concordia, KS to live at Sunset Assisted Living. James was preceded in death by his parents; his wife, Merna in 2015; a daughter, Darla Keever in 2012; 1 great-grandson. James is survived by a daughter, Dana (Bob) Hollerich of Tipton, KS; 3 sons: Daniel (Sheila) McReynolds of Concordia, KS; Dwight (Deb) McReynolds of Alton, KS; Darwin (Tressie) McReynolds of Kensington, KS; sister: Rebecca Adcock of Osborne, KS; brother: Robert McReynolds of Westminster, CO; 19 grandchildren & 27 great-grandchildren.